One People’s Public Trust: Buyer Beware!! RESEARCHER & EDUCATOR WINSTON SHROUT EXPLAINS WHAT THE UNIFORM COMMERCIAL CODE IS AND WHAT THE OPPT IS NOT! 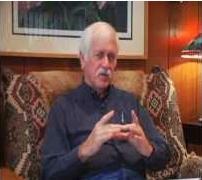 Hostess of the Blog Talk Radio program “Universal Awareness”, Linda Joslin interviews Winston Shrout about the One People’s Public Trust. Winston Shrout has established himself as one of, if not the, leading authority on the philosophy of Redemption in Law. For over a decade a great many researchers have spent countless thousands of hours in an attempt to understand the true nature of our present-day legal, banking and political systems. Winston Shrout since 1999 has spent the following years amassing a powerful understanding of law, banking and politics, and it is with such understanding that Winston commands a great deal of respect from anyone interested in the notion of freedom. Winston explained the basics of the “trust structure” and advised everyone to educate themselves thoroughly – BEFORE they sign up to participate in this trust or any other trust!! He also admitted that he is involved in the ‘real world’ establishment of a new ‘system’. This entry was posted in corruption, Government and tagged Birth Certificate, federal reserve, OPPT, UCC, Winston Shrout. Bookmark the permalink. Reblogged this on Banksysteem van Babylon t/m Heden.